Clash bash is back! In its third mismatched instalment, Clash Bash returns to Dalston Superstore to liven up your life with some FRESH PRINTS! Find your loudest, wildest wardrobe pieces, throw together a trashy, anti-fashion-y lewk and get ready thrash ’til you crash. WARNING: Hosts Finn Love & Foxy Moron will be falling off the bar sporadically throughout the night. 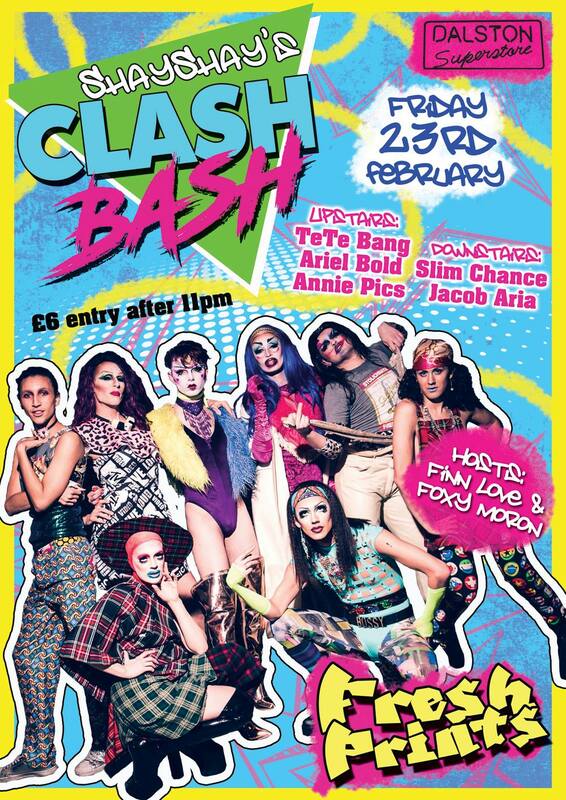 Providing your Clash Bash music mash we have TeTe Bang, Ariel Bold and Annie Pics on pop trash duty, while Slim Chance and Jacob Aria serve up a mixed bag of house, disco and techno all night!